Last night I was checking my promotion schedule notes and as of 30 days ago I was supposed to have completed the first of five posters promoting Badin and the Secret of the Saami. Unfortunately, I had not completed a single one! With ongoing family and financial problems, the Act 2 script adjustments and this, I was feeling overwhelmed. However, I woke up with the attitude that I am not going to allow anything or anyone to get in the way of my happiness and peace of mind. So I broke my rule of getting to bed by 10 pm and began sketching ALL five posters. After getting about seven hours of sleep, I got up and finished all five drafts this morning. I plan to release a finished poster every two months. Each one leads into the next and contain insight to the story. After the fifth one is released, the graphic novel should be finished and available for purchase. At left is an abstract of one of the poster sketches I plan to use. 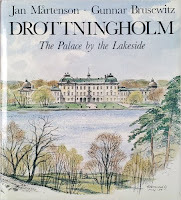 Also, yesterday, I received my copy of Drottningholm, the Palace by the Lakeside by Jan Mårtenson. I was quite disappointed in that there were very few illustrations of the palace. I ordered this, along with 2 other books about the National Palace to use for references because many of the story's scenes take place with the Royal Family. 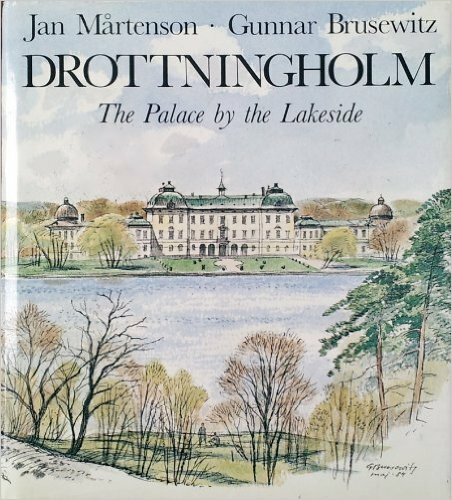 Finding references with pictures of the interior of these palaces in Swedish and English has been very, very difficult for me. However, the book is full of great historical information and will be useful for tweaking the graphic novel in general. And now, back to the script.